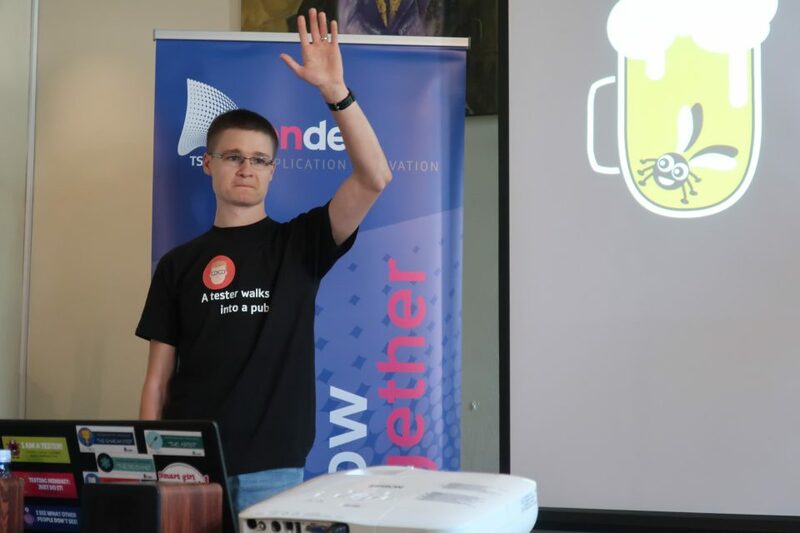 The first Testers’ Pub Event by Yonder Iasi started as a concept that relies at it’s core on connecting with the local testing community. Nonetheless, the goal of hosting this event was boosted by the great potential and motivation of the yonderists that made it happen. One of the things that I usually get mocked about is asking “stupid” questions, such as: ”Why are we using Excel for test cases?,” ”Why are we not estimating testing effort?”, ”Why isn’t there an installation guide for more complicated enterprise software setups?”. Now if your reading this, you might ask yourself where’s the “stupid” in that, and you’d be right to do so. At least up until you start to think of the X number of other bigger, more urgent issues a development team usually has to face. And this is why they start to be seen as a bit stupid, because the answer becomes obvious: ”not that important”, ”don’t have time”, ”not now”, ”we’ll do it later” and so on. The reason why you get those responses is that people get easily annoyed when they are asked the same questions over and over again – it is probable that before you were here, there were other people with the same questions, getting the same answer. It’s sort of like when you have a little, but very curious child asking: “Why?”, “What?” about everything and you like him at first, but then it gets tiring to keep up and you resort to avoiding the answers. So, what do you do as a tester in this situation? #1 You can accept the answer and then pass it on every time a new ”kid” joins the project with the same questions. #2 The much harder option, implies owning the fact that you are ”the kid” and to keep asking, keep pushing, keep fighting to change the routine, change the things that “cannot be changed”. When you take this path, you need to be T-shaped, to know what TO DO,/NOT TO DO as a tester in a team and as part of a process: how to make an improvement, how to report and sell the right idea at the right time. So if you’re trying your best and you’re fighting to improve you might want to share your experience or frustration with the community around you, to look for validation or dismissal of what you considered DOs/ DON’Ts, good / bad practices, to gather opinions, to be open minded and try to avoid a narrow view of things. Testers Pub offered me just that opportunity: to share my experience and to get feedback on what I considered good and to do that while enjoying a cold beer on a summer evening … well it can’t get any better than that so I immediately said YES when I was asked if I wanted be part of Testers Pub #1. If you want to succeed as a tester you MUST look at your testing path as a career not as a job, because being the ”kid” and getting mocked for “stupid” question, fighting for improvements, making things change for the better around you is something you take home with you, is something that doesn’t only happen within a 9.00 to 17.00 schedule. You spend the biggest part of your adult life, your active time (out of the 24 hours in a day) at work, with colleagues, projects and issues. That’s a long time to spend working, having just a job. Taking the second option means doing more than just a job, it means developing a career, it means working with purpose, with higher goals than the paycheck you get at the end of the month. From my experience, that’s the only way to love the time you spend working, to get satisfaction and happiness from the work you do and have the dream “job”, the “job” you love doing.